The unit is very sleek looking. Very modern. Simple to use. What more can you ask. Good looking cooking hood, great feature pairing with induction hob so auto switch’s fan on and increases as power is increase thus more steam created. SS is a little thin and an flex when cleaned. Filter tray only has one click so easy to remove but can flex when in place, only minor points though. Very happy with product. The good works ok and is quiet on its lowest setting. We have had to have the engineer out twice to fix it though. Easy cleaning easy access, I love the lights . There is three settings and super extract...I love when from super extract it automatically moves to lower settings. I find very useful after I finish cooking I can switch to silent extract and it extracts anything that’s left. I usually cook on 2 or 3 settings. They are not very quiet but they do the job much quieter to what I used to have. Very stylish. Light's are very bright. Touch control is easy to use. The boost function is brilliant. Clears the kitchen fast. We decided to use ducting instead of just the filters. When we switched it on it blew all the newspaper off the tops of the cupboard as we had been painting. So very powerful and know it will blow it all outside. Hopefully it will not get as greasy as busy kitchens do. Very please with our purchase. Definitely recommend. AO.COM are fast and reliable. Ordered all our appliances for our new kitchen. 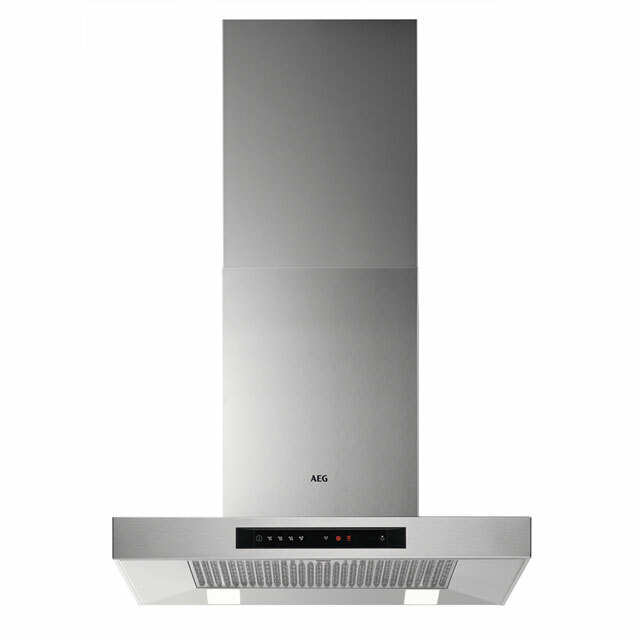 I’m happy with my new cooker hood, working properly and not noisy like my previous one.